Get your daily party booster! Get Free Spins, Bonuses and or even pure cash, every day! There’s no party like a summer party and best when it lasts into autumn. 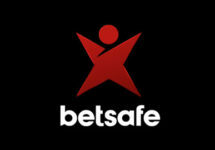 And there’s no hotter place to be than in Betsafe’s Casino. So, grab your sunnies and get ready for some deals hotter than the mid-day sun. There’s something new every day, so be sure to dive into their pool of cool deals. Exclusive for players from Estonia and Latvia. Enjoy the last week of the 2018 Casino Summer Party and look forward to daily rewards and bonuses, each active from 00:01 – 23:59 CET. 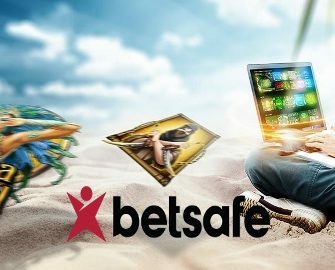 Claim this week the following daily treats, available on desktop or mobile, subject to the Betsafe bonus terms and conditions. A daily OPT-IN on the promotion page and / or a deposit are imperative to be eligible for any of the offers. Estonia – Claim a 25% reload bonus, up to €10. Deposit €40, play with €50. Estonia – Claim a 25% reload bonus, up to €5. Deposit €20, play with €25. Estonia & Latvia: Complete two missions – Golden Fish Tank: Hit 4 wins in a row | Valley of Gods: Collect 100 scarabs of any color – with minimum €0.20 bets to receive a €5.00 bonus on Monday. To use the Risk Free Spins, players must enter the slot game mentioned in the on-site message, spin 10 rounds with a value of at least €0.20 and will then instantly receive the winnings of their spins to their account plus €2 cashback, credited with no wagering requirements. Reload bonuses must be wagered 20x the bonus amount while Free Spin winnings must be wager once, subject to the Betsafe bonus terms and conditions.